Home Uncategorized Help York Elementary! 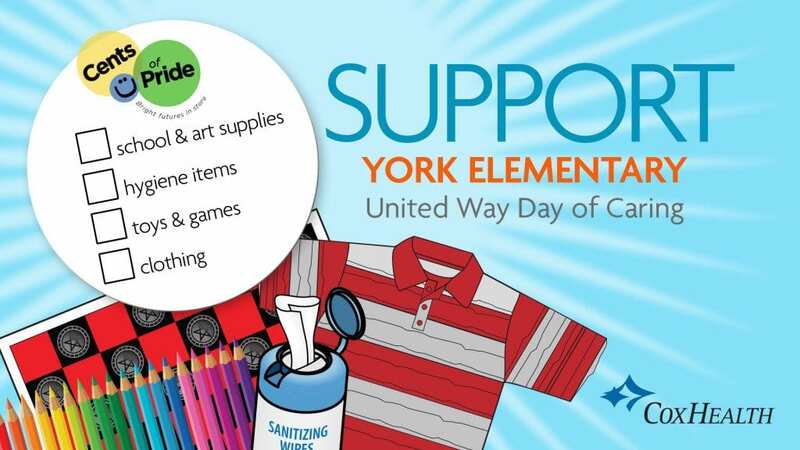 Help York Elementary during their Cents of Pride Drive. You can donate the supplies listed above or make a donation here and select “York Elementary Cents of Pride” in the Fund box. Supply donations can be brought to the CoxHealth Foundation office before July 28 – after that point there will be drop off bins located throughout CoxHealth.